There were two main objectives of the project. The first one was to develop and experimentally validate propagation models and relevant input data for the statistical prediction of radio interference on ground terminals of satellite systems. The second one was to implement the models into a software tool. The propagation model development and validation was based on extensive measurement trials. The experimental campaign was carried out in summer 2012 at six frequencies to address diffraction propagation phenomena. The trials took place at seven selected representative locations. 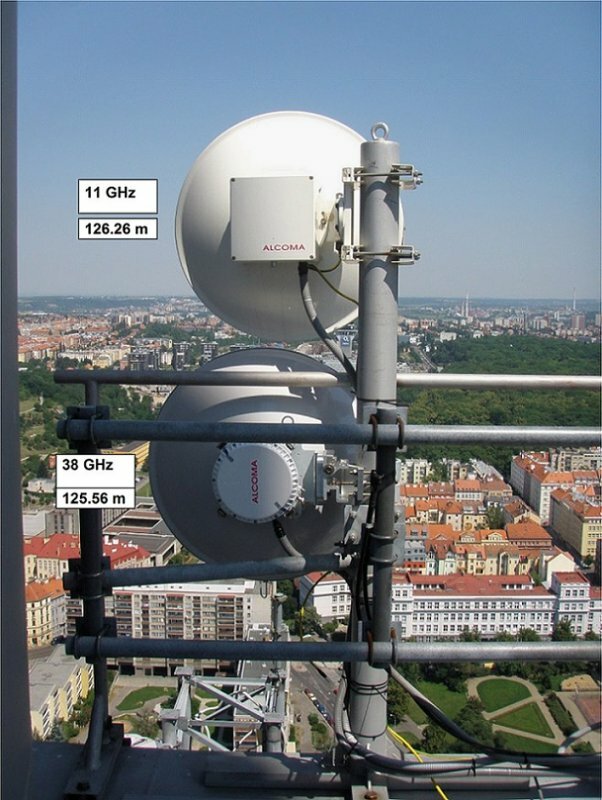 At each scenario, a number of transmitter and receiver height combinations were achieved using truck-mounted access platforms reaching up to 46 meters above the ground level. A sufficiently large dataset was obtained to be used for terrain diffraction model testing and development. In addition, long-term experimental measurements at the frequencies of 11 and 38 GHz were carried out on a 50 km long path. 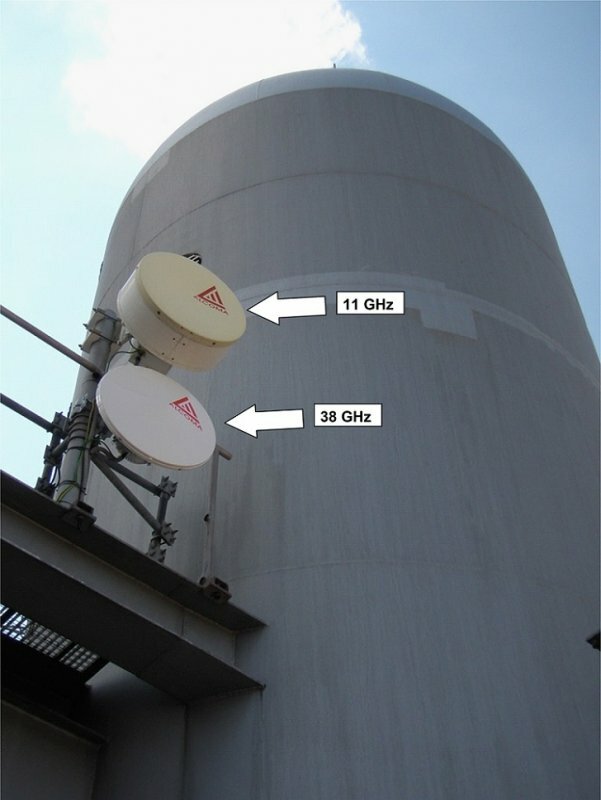 Five 11 GHz receiver antennas and a single 38 GHz antenna were located at different heights to investigate both line-of-sight propagation, as well as terrain diffraction, due to a single terrain obstacle. The datasets were used for the testing of the overall path loss prediction related to the interference statistical analysis. Together with the received signal levels, vertical profiles of air temperature, relative humidity and pressure were measured in one-minute intervals at the receiver site by means of corresponding sensors located at 19 heights up to 150 m above the ground level with an average spacing of about 7.5 m to investigate the refractivity distribution in the boundary layer. As input data a new global radiometeorological database based on the ERA-Interim reanalysis database containing data from the last 33 years were derived. The results of the activity, the new models and algorithms, software tool and experimental datasets, can be used not only in the area of the satellite telecommunications, but also in interference planning of terrestrial, Earth observation, navigation, and deep space systems. CTU brought to the consortium expertise in propagation modeling, diffraction experiments, and software implementation. CMI contributed with its experience in long term propagation and radiometeorological experiments and expertize in the area of terrestrial links and ITU-R recommendations. space technologies. Working closely with engineers from across Honeywell, new technologies created by our ATE organisation are developed for productionization and ultimately rolled out to the aerospace industry. What would you name as main benefits of the project to you and your company? 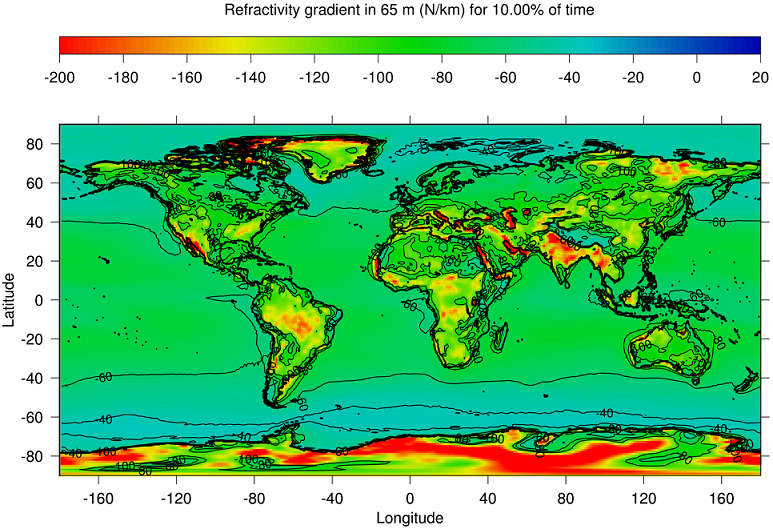 World map of surface refractivity quantile corresponding to 50% of time. 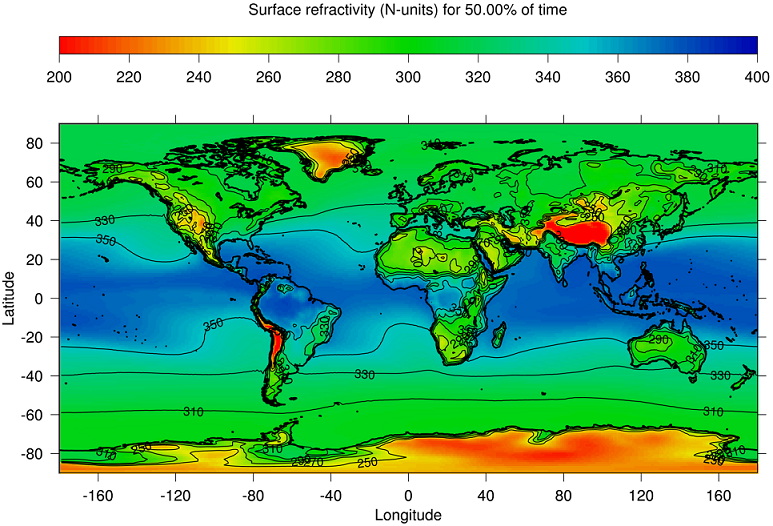 World map of surface refractivity quantile corresponding to 10% of time. Antennas located on the TV Tower Prague.